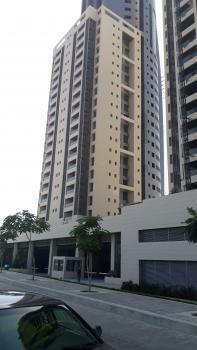 There are 83 available flats, houses, land and commercial property in Eko Atlantic City, Lagos, Nigeria. The property have been listed by estate agents who can be contacted using the contact information provided for each property listing. The list can be filtered by price, furnishing and recency. Excellent facility that words cannot even explain!! The view, the breeze, the food, the glam. The lifestyle here is epic!Comes with a BQ, swimming pool and gym.Price: N1bnCall or Whatsapp 08124791998 for more details. Strategically located in Eko Atlantic City in Victoria Island is this mixed used land measuring 3,443Sqm for sale at a good rate.This mixed used land is in the built up area and readily ready for development.The going rate is $1,500/Sqm, but we can make $1,000/Sqm happen.Lot number and survey plan available on request. 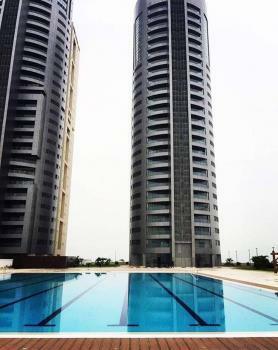 Located at Eko Pearl Towers in Eko Atlantic City, Victoria Island, Lagos are these immaculate, exquisitely and world class luxury two bedrooms, three bedrooms and penthouse type pool apartments on 31 floors with optional seller financing.At Eko Pearl Towers, we have completed apartments waiting for you to move in. We have several people living in our towers already. 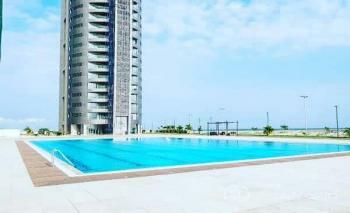 We have the option of outright purchase and payment in installments.Brief Property History/BackgroundIn the centre of Eko Atlantic City lies Magnificence at its peak. Located strategically to ensure dazzling views of the city, Eko Pearl Towers provides an epitome of luxury and perfection. The five towers available for residential and investment, are named after the best pearls in the world; Aqua, Indigo, Champagne, White and Black Pearls.The apartments are a collection of deluxe two, three bedrooms and penthouse type apartments with living areas faced to balconies to view the sea and marina creating an elite lifestyle.While living in this haven of Africa with beautiful gardens and landscape area inspired by baroque style, residents will enjoy first class infrastructure facilities including uninterrupted power supply, water and 24 hours security.Each tower has large swimming pool, squash court, two tennis courts, fully fitted gym, lounge/bar area, private health club, and 24 hours Surveillance room.The first towers are completed with people living in already. Since Inception, return on investment after initial sales of the apartments has gone up by an average of 25%. 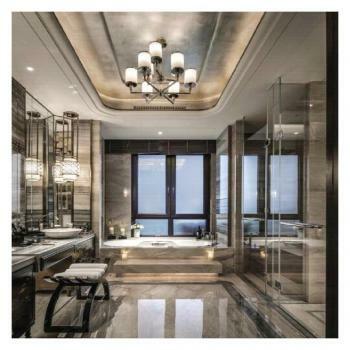 The potentials of investing in this project are limitless.Each tower is crowned with Royal Penthouses, providing an even higher and richer home experience. The second tower consists of 31 residential floors; there are four apartments per floor, two apartments on the royal penthouse floors, a technical floor, a ground floor and a basement floor.The rental value per annum is between $45,000 to $55,000 which will definitely increase with time.This is a well thought out design with the most-functional use of space, and it allows natural light to flood the home on all levels.Our brochure and price list are available on request. Vacations are meant to be something special... We are proud to present to the market a wonderful opportunity to let a stunning, large triple bedroom on the upper floors, Luxury Furnished Flat within the Heart of Victoria Island (Eko Atlantic City).Ever imagined waking up to paradise, Harvest can be described in the words of Arthur, ''The heaving sea, the waves upon the shore, the musical, strong waves, balmy air of the sea''...... Oh what comfort and satisfaction you get when you stay at Fleur's Seasons. 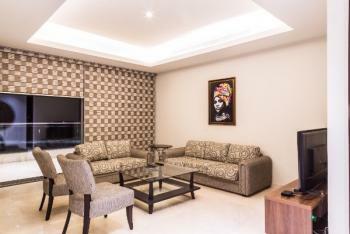 Imagine coming home to this gorgeous 3 bedrooms” in the swanky part of Victoria Island. Fleur's Seasons is an enchanting romantic haven; with exclusivity and privacy and it is the perfect honeymoon/work/vacation getaway.Standing high just overlooking the Atlantic Ocean, with a glass-floored living room, a sundeck, infinity pool which is on the Terrace and splendid amenities, this villa choice has endless opportunities for spotting marine/harbor life and enjoying the beauty and vastness of the ocean with stunning views.The living room provides ample opportunities for relaxation as the large glass screens offer that view with peace and tranquil. Furnishing is so magnificent that the legendary Viking carpenter/god, ''FLOKI'', would be fascinated. The master bedroom as well as the other two rooms offers stunning views with comfortable Beds and silky clean duvets, Central cooling system. Cable Tv premium subscription is available, the central cooling system is second to none and a central control system for everything needed. Power is uninterrupted and noiseless.Take advantage of the state of the art kitchen with superb kitchen utensils and amenities. A washer dryer is on ground for your laundry needs. Security is second to none as there is an underground parking garage. There are CCTV cameras everywhere and sensors for safety.The lounge, Bar, and Olympic sized pool is second to none. It gives you the idea that this is the new world. Sun bathing wouldn’t be a bad idea and take advantage of the grill and large sun deck on the terrace.Below are some testimonials from some of our esteemed guest;‘’My walks at night was so animated and refreshing, and also, I could view Victoria island, marina Apapa and Lekki from one spot is amazing’’…... Esther (Sky Diver).‘’Service is fantastic and you will get your money’s worth at first glance’’…. Collins (Sales executive).“Living here has been a dream. You can't get any closer to the city center... The facilities are always maintained well and the facility manager has been very accommodating and responsive when we had questions or concerns. 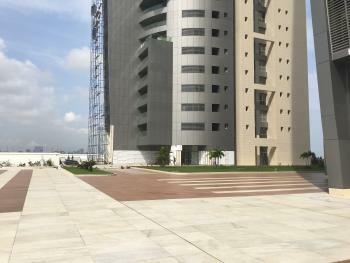 Eko hotel is just around the corner and muri Okunola park is just around too. Ibinabo”.For Bookings ContactFor Bookings:Call: 08139444263Email: [email protected] VILLE INVESTMENT LIMITEDThe Personal Villa Host will help make sure your needs are looked after during your stay and you get a complimentary chef. Vacations are meant to be something special... We are proud to present to the market a wonderful opportunity to let a stunning, large triple bedroom on the 12th floor, Luxury Furnished Flat within the Heart of Victoria Island (Eko Atlantic City).Ever imagined waking up to paradise, GLORIOUS FOXES can be described in the words of Arthur, ''The heaving sea, the waves upon the shore, the musical, strong waves, balmy air of the sea''...... Oh what comfort and satisfaction you get when you stay at GLORIOUS FOXES. 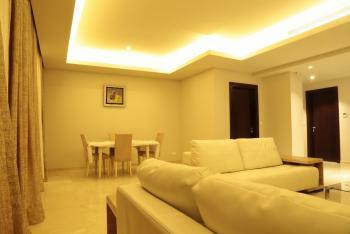 Imagine coming home to this gorgeous 3 bedrooms” in the swanky part of Victoria Island. GLORIOUS FOXES is an enchanting romantic haven; with exclusivity and privacy and it is the perfect honeymoon/work/vacation getaway.Standing high just overlooking the Atlantic Ocean, with a glass-floored living room, a sundeck, infinity pool which is on the Terrace and splendid amenities, this villa choice has endless opportunities for spotting marine/harbor life and enjoying the beauty and vastness of the ocean with stunning views.The living room provides ample opportunities for relaxation as the large glass screens offer that view with peace and tranquil. Furnishing is so magnificent that the legendary Viking carpenter/god, ''FLOKI'', would be fascinated. The master bedroom as well as the other two rooms offers stunning views with comfortable Beds and silky clean duvets, Central cooling system. Cable Tv premium subscription is available, the central cooling system is second to none and a central control system for everything needed. Power is uninterrupted and noiseless.Take advantage of the state of the art kitchen with superb kitchen utensils and amenities. A washer dryer is on ground for your laundry needs. Security is second to none as there is an underground parking garage. There are CCTV cameras everywhere and sensors for safety.The lounge, Bar, and Olympic sized pool is second to none. It gives you the idea that this is the new world. Sun bathing wouldn’t be a bad idea and take advantage of the grill and large sun deck on the terrace.Below are some testimonials from some of our esteemed guest;‘’My walks at night was so animated and refreshing, and also, I could view Victoria island, marina Apapa and Lekki from one spot is amazing’’…... Janice (Nurse).‘’Service is fantastic and you will get your money’s worth at first glance’’…. Moya (Sales executive’’.“Living here has been a dream. You can't get any closer to the city center... The facilities are always maintained well and the facility manager has been very accommodating and responsive when we had questions or concerns. 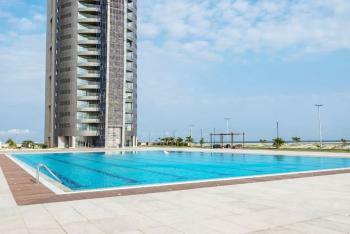 Eko hotel is just around the corner and muri Okunola park is just around too. Janet T”.For Bookings ContactFor Bookings:Call: 08139444263Email: [email protected]: Redmenn and BarnesRedmenn and BarnesThe Personal Villa Host will help make sure your needs are looked after during your stay and you get a complimentary chef. If you’re looking for an easy solution to your housing needs, look no further than the 4 bedroom apartments at the Eko Pearl Towers in Eko Atlantic City. This residential project offers international standard services, structures, and amenities for your comfort and security.Our apartments offer style and utmost comfort with elegant design and a luxurious lifestyle provided by our various services you can benefit from if you lease a home at the Eko Pearl Towers.The Eko Pearl Towers offers a private gym for residents, as well as open green spaces, an open air bar, a swimming pool, and a children’s playground. 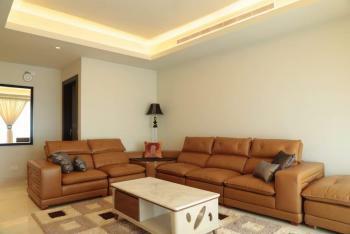 In addition, the apartments are furnished the best quality appliances for your precious living. Vacations are meant to be something special... We are proud to present to the market a wonderful opportunity to let a stunning, large triple bedroom on the upper floors, Luxury Furnished Flat within the Heart of Victoria Island (Eko Atlantic City).Ever imagined waking up to paradise, Harvest can be described in the words of Arthur, ''The heaving sea, the waves upon the shore, the musical, strong waves, balmy air of the sea''...... Oh what comfort and satisfaction you get when you stay at NEVADA. Imagine coming home to this gorgeous 3 bedrooms” in the swanky part of Victoria Island. NEVADA is an enchanting romantic haven; with exclusivity and privacy and it is the perfect honeymoon/work/vacation getaway.Standing high just overlooking the Atlantic Ocean, with a glass-floored living room, a sundeck, infinity pool which is on the Terrace and splendid amenities, this villa choice has endless opportunities for spotting marine/harbour life and enjoying the beauty and vastness of the ocean with stunning views.The living room provides ample opportunities for relaxation as the large glass screens offer that view with peace and tranquil. Furnishing is so magnificent that the legendary Viking carpenter/god, ''FLOKI'', would be fascinated. The master bedroom as well as the other two rooms offers stunning views with comfortable Beds and silky clean duvets, Central cooling system. Cable Tv premium subscription is available, the central cooling system is second to none and a central control system for everything needed. Power is uninterrupted and noiseless.Take advantage of the state of the art kitchen with superb kitchen utensils and amenities. A washer dryer is on ground for your laundry needs. Security is second to none as there is an underground parking garage. There are CCTV cameras everywhere and sensors for safety.The lounge, Bar, and Olympic sized pool is second to none. It gives you the idea that this is the new world. Sun bathing wouldn’t be a bad idea and take advantage of the grill and large sun deck on the terrace.Below are some testimonials from some of our esteemed guest;‘’My walks at night was so animated and refreshing, and also, I could view Victoria island, marina Apapa and Lekki from one spot is amazing’’…... Janice (Nurse).‘’Service is fantastic and you will get your money’s worth at first glance’’…. Moya (Sales executive).“Living here has been a dream. You can't get any closer to the city center... The facilities are always maintained well and the facility manager has been very accommodating and responsive when we had questions or concerns. 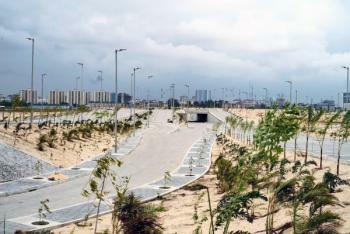 Eko hotel is just around the corner and muri Okunola park is just around too. Janet T”.For Bookings ContactFor Bookings:Call: 08139444263Email: [email protected] DoorsThe Personal Villa Host will help make sure your needs are looked after during your stay and you get a complimentary chef. 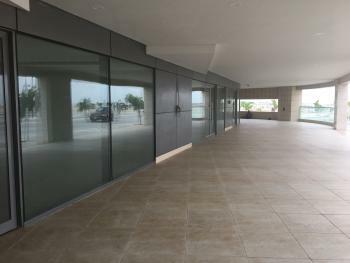 Beautifully furnished two bed apartments in the most magnificent Eko Atlantic with private fully equipped gyms, restaurant, lounges by the Olympic pool with amazing views of the Atlantic. Plenty of room for walks and ideal for families. Three bedroom apartments options are available with super balconies.Ultra premium and spacious, beautifully furnished rooms and well fitted kitchen with Extractor, microwave, big refrigerator with Chef service. 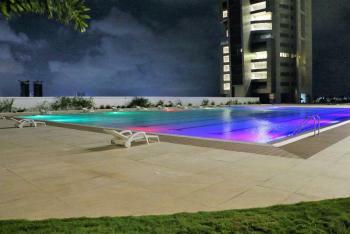 BQ for each flat and lovely gym overlooking the beautiful security is maximum, high speed WiFi and full bouquet Dstv. Longer stays attract huge discounts. 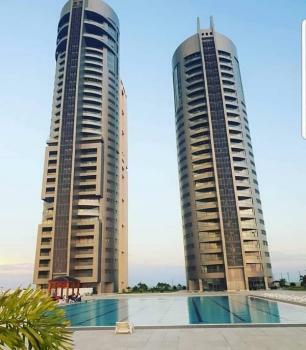 The most magnificent buildings in Africa housing very beautiful three bedroom apartments in different floors with balconies overlooking the Atlantic Ocean. Amenities include Private Health club, Garden Terrace, Meeting rooms, Luxurious lounge and world class Restaurant with a sitout area by the pool, BBQ area, Olympic size pool and awesome scenery. 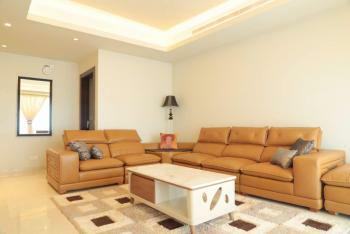 All services are providing including facility management, Housekeeping, DSTV and High speed WIFI. Minimum stay of 5 days. Annual rent options available and highly discounted. 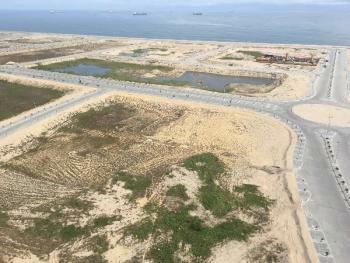 1000 Sqm Land for Sale in Eko Atlantic Phase 3Brokerage: 5% (slightly negotiable) of purchase price to be paid by the buyer as commission/brokerage. 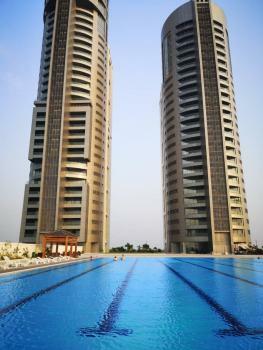 Eko Atlantic City or Eko Atlantic (EAC or EA) is officially known as Nigeria International Commerce City. 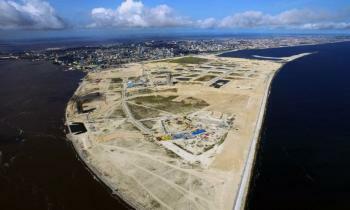 The city is an entire new coastal city being built on Victoria Island located in Lagos state, Nigeria. Upon completion, the new peninsula, which is still under development is anticipating at least 250,000 residents and a daily flow of 150,000 commuters. The development will also have a positive environmental impact, as it will help in stopping the erosion of Lagos State's coastline. EAC shares boundaries with Victoria Island district of Lagos city and the Phase 1 area of Lekki, to the north, while the entire Western, eastern and southern borders is a coastline. The city is expected to have about 10 districts. EAC is characterized with state of the art high tech infrastructure in line with modern and environmental standards.